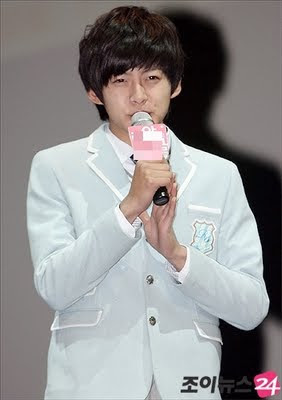 U-Kiss' member Dongho challenges animation dubbing acting. Dongho will be starring in the 3D animation movie 'Hong Gil Dong 2084' as the voice of the character, Hong Gil Dong. The production company stated their reason for casting as, "Dongho has a cute face with versatile talents and has also worked in various fields such as activities with U-Kiss and Invincible Baseball, thus having a fanbase that consists of both younger and older generations" and "His milky-white skin, cute eye smile and bold personality especially resembles the animation's character, Hong Gil Dong". The production time of 'Hong Gil Dong 2084' took 3 years and the total costs 36 billion won, it is set to premiere on August 18th.